In this post I'd like to address a book that has received high praise and glowing endorsements from a host of conservative professors and pastors—Paul Copan’s Is God a Moral Monster? The endorsements from conservative professors and scholars on the back of Copan’s book hail it as “the book I wish I had written myself” and call for it to be “required reading in college and seminary courses.” This praise is not restricted to conservatives however. 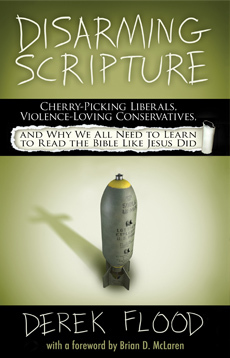 Several prominent moderate Evangelicals have also come out in support of the book. Two prominent examples are Scot McKnight and Frank Viola. I can understand the motivation: There is a perceived attack from the New Atheists who accuse the God of the Old Testament of being a moral monster. However I would like to propose that the focus is completely in the wrong place here. That is, the focus is on defending the faith, rather than actually considering where there may be legitimate problems we should address. In other words, our response should be one of listening and where appropriate repentance, not one of seeking to justify things that we would in any other context condemn as being profoundly immoral. This is where I think Christian Apologetics has lost its way. Rather than being about articulating the faith in a thoughtful way, it instead echoes our culture's tendency to set up an us versus them situation where the result is to "win" the argument rather than the person. More specifically, the assumption behind this all is that the Old Testament contains one single view of God that we can then deem to be good and seek to justify (as the apologists do) or bad and reject (as the New Atheists do), rather than recognizing the rather hard to miss fact that the Old Testament contains many conflicting perspectives of who God is. It is a record of dispute, and when we instead try to harmonize it into a single view, we completely misread it. Yet that misreading seems to be quite common, even among people with a PhD. I'm all for a nuanced reading of the Bible, and getting away from pedestrian critiques that reflect a Sunday school biblical education (Bill Maher comes to mind here). The answer here however is to face the multi-vocal nature of the OT rather than to try and defend things that are clearly indefensible from a moral and ethical standpoint. The irony that Christians who are supposed to be champions of morality (helping to develop character and compassion) find themselves defending moral atrocity in the Bible reveals something very broken about our faith. We need to shine light on that brokenness. Regardless of one’s evaluation of the relative merit and accuracy of Copan’s above arguments (and from the point of view of scholarship, and in particular the proper application of archeological evidence, there is a great deal that one could dispute here), the above array of diverse arguments all boil down to this basic claim: It probably wasn’t as bad as it seems, and even if it was, it’s okay if God commands it. Here again we see the profoundly dangerous claim that biblical commands should override our conscience. In other words: We should commit acts that we believe to be profoundly immoral and wrong (like committing mass-murder), simply because we think the Bible tells us to. Stop for a moment, and really let that sink in. As you do, consider that this is not simply theoretical. People have repeatedly throughout history used such thinking to justify mass murder and torture in God's name. Copan, in fact, sees God’s commands to slaughter the Canaanites as the primary criteria legitimizing what he refers to as “a corporate capital punishment that could be carried out only with the guidance of special, divine revelation” (188) acknowledging that, “without God’s explicit command (and thus his morally sufficient reasons), attacking the Canaanites would not have been justified” (169). Particularly alarming in this regard is Copan’s statement that “we should ask, what if there were some task that we would shrink from that could even psychologically harm us but that still needed to be done?” (190). This is said directly in the context of discussing the potential psychological damage done to those who were commanded to slaughter noncombatant women and children. So the implication is that even if it would traumatize you to participate in a massacre (he mentions the My Lai Massacre as an example), if God said to do it you still should. Wow. To his credit, Copan stresses elsewhere that violence cannot legitimately be carried out in God’s name today with appeal to these commands, insisting that they were specific to a particular time and people and thus cannot be generalized (194). However, because Copan bases this on the criteria of God’s explicit command, the possibility is left open that if God were to command us to commit genocide today, we would be obliged to obey. Copan offers here no criteria for evaluating how one knows what God’s authentic voice is—whether today or in biblical times. There are several problems with the above analysis. First, according to this rationale, in order to carry out God’s commands one must be—in Copan’s own words—fallen, hard hearted, and morally blunted (189). This amounts to an argument against his position, rather than in support of it. Secondly, the fact that violence is common does not diminish the damage it does. If high mortality rates from gang shootings are statistically common in the inner city projects that does not mean that a mother living in the projects is any less heartbroken holding the lifeless body of her infant child caught in the cross fire of a drive-by-shooting. It would have been no different for a Canaanite or Israelite mother in Biblical times witnessing soldiers breaking into their home and slaughtering “everything that breathes” as they watched in helpless terror. No amount of academic subterfuge should harden our hearts to this reality or morally blunt us to the suffering of others. If this is what the result of “defending the Bible” looks like, then we need to seriously re-evaluate our priorities. In the end, Copan's arguments, from a scholarly and scientific perspective, are filled with holes. If you are at all familiar with biblical scholarship this is very apparent, and I frankly find it a bit shocking that more people have not called him on this. He regularly misapplies evidence in a way that relies on his audience not themselves being familiar with what scholarship is actually saying. Maybe I'll return to this point in more detail later. However, I would say the larger point is the moral and ethical implications of his arguments which I have focused on here. I do not question Copan’s motivations, which I trust are well meant. As with all apologetics, the motivation seems clear: It reflects an attempt to defend Scripture and defend the faith. The belief is that in doing so we are defending God's honor by defending the Bible—but at what cost? As well intentioned as these defenses may be, we ultimately need to ask what it does to our faith to believe that the very same God we are supposed to love and intimately trust is the one commanding such horrific violence. What does it do to our conscience to call such atrocities “good” or even “holy”? What if instead of "defending the Bible" we learned how to read it in a way that focused on looking at our selves introspectively, in a way that was focused on cultivating compassion for the other and the enemy? What if we believed that asking hard quesutions motivated by compassion was an essential part of a healthy faith? "It does not seem good to me to pass tis interpretation without further contemplation. How would a concept worthy of God be preserved in the description of what happened if one only looked at history? The Egyptian [Pharaoh] acts unjusty, and in his place is punished the newborn child, who in his infancy cannot discern what is good and what is not...If such a one now pays the penalty of his father's wickedness, where is justice? Where is piety? Where is holiness? Where is Ezekiel, who cries: 'The man who sinned is the man who must die, and a son is not to suffer for the sins of his father"? How can the history so contradict reason?" His answer was to read this not as history but as "typologically," or perhaps what we'd call "allegorical." Yes. On my view one must apply something of the same sort of explanation to, say, the atrocities (and treacheries) of Joshua. I see the grave danger we run by doing so; but the dangers of believing in a God whom we cannot but regard as evil, and then, in mere terrified flattery calling Him ‘good’ and worshiping Him, is still greater danger. The ultimate question is whether the doctrine of the goodness of God or that of the inerrancy of Scriptures is to prevail when they conflict. I think the doctrine of the goodness of God is the more certain of the two. Indeed, only that doctrine renders this worship of Him obligatory or even permissible. But of course having said all this, we must apply it with fear and trembling. Some things which seem to us bad may be good. But we must not consult our consciences by trying to feel a thing good when it seems to us totally evil. We can only pray that if there is an invisible goodness hidden in such things, God, in His own good time will enable us to see it. If we need to. For perhaps sometimes God’s answer might be ‘What is that to thee?’ The passage may not be ‘addressed to our (your or my) condition’ at all. I think we are v. much in agreement, aren’t we?" July 3, 1963, letter from C.S. Lewis to John Beversluis. Letter quoted in full in John Beversluis, C.S. Lewis and the Search for Rational Religion (Grand Rapids: Eerdmans, 1985), pp. 156 f.
Thanks for sharing those quotes Tim. Do you know were the Greg of Nyssa quote is from exactly? Really rich thinking in your post Derek and in your comments Tim. I saw this happen when our small group read Derek's "Healing the Gospel" together. A few in the group left after one session. Others stayed but really struggled with the ideas Derek presented. 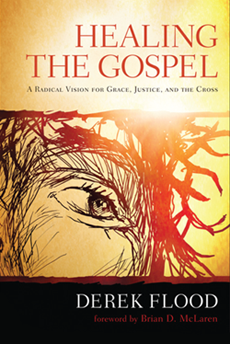 In the end, I think that more embraced the new thoughts and began to think differently about justice and the Cross. If Copan lived two centuries ago he probably would have composed a book defending "the abominable fancy." For centuries Christians believed that the folks in heaven would know about those in hell and how awful the latter were suffering, but, knowing about such suffering would only make those in heaven praise God all the more for His perfect justice in sending those other folks to hell. This point was view was nicknamed by some Enlightenment folks as "the abominable fancy." But it was based on several passages/scenes in Christian scripture and also on the philosophical necessity that those in heaven must be blissful about the outcome of God's plans, otherwise heaven would not be so heavenly, not if it contained people grieving over the eternal suffering of folks in hell. The abominable fancy was popular with both Catholics (like Thomas Aquinas, and some other saints) and Calvinists (like Jonathan Edwards, hymn writer Isaac Watts, among others). Well written Derek. Never understood someone willing to defend such a position as Copan. Just shows how well church's make believable their propaganda about the bible. How do you think Copan would justify this violent god having man do his dirty work. If God were able to take life because he is God, then he should do it himself. It would be one thing for him to take a life, and a totally different thing for him to command man not to murder, then tell him to do the very thing he commanded him not to do. Never understood the logic. When humans start killing people in God's name they are "playing God" in the worst possible way. The fact that so many Christians will work so hard to justify things that are clearly profoundly immoral just because it is in the Bible demonstrates that there is something deeply broken about that kind of religion. We need to shine a light on that. Thanks for the link to Stark's e-book. It's a great resource. I find the quotes you cite for Augustine fascinating since he later argued in favor of violent persecution of the Donatists in Christ's name. Do you know if he said the above statements earlier? Seems like he changed his views. Excellent analysis of the problem, and the inadequacy of Copan's rationalizations. But what is the solution? I submit that the solution is to reject God and the Bible, as I did almost 50 years ago and never regretted.